Do you guys remember when I chattered on & on about my undying love for the Bluelounge CableBox? I use one on my desk to hold my external hard drives & help corral all of my computer cables, and I also have one that I use to organize cords in our little tv cabinet! 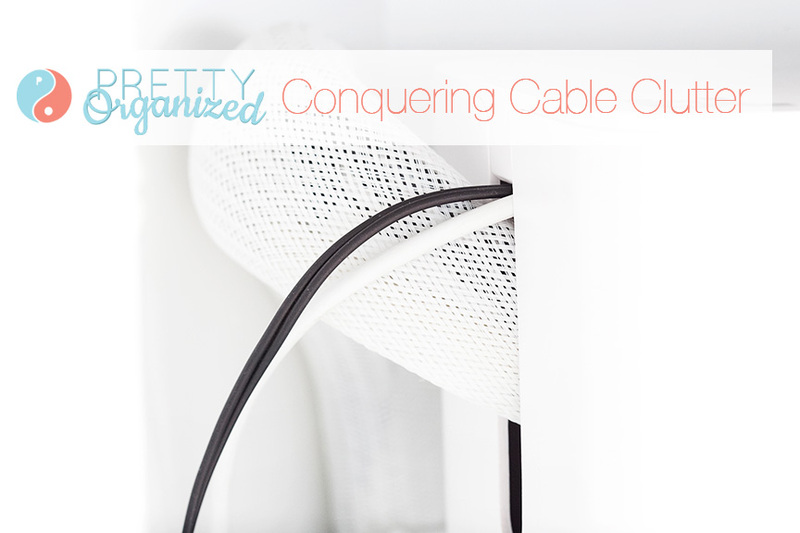 Hide all of the wires & keep them untangled. 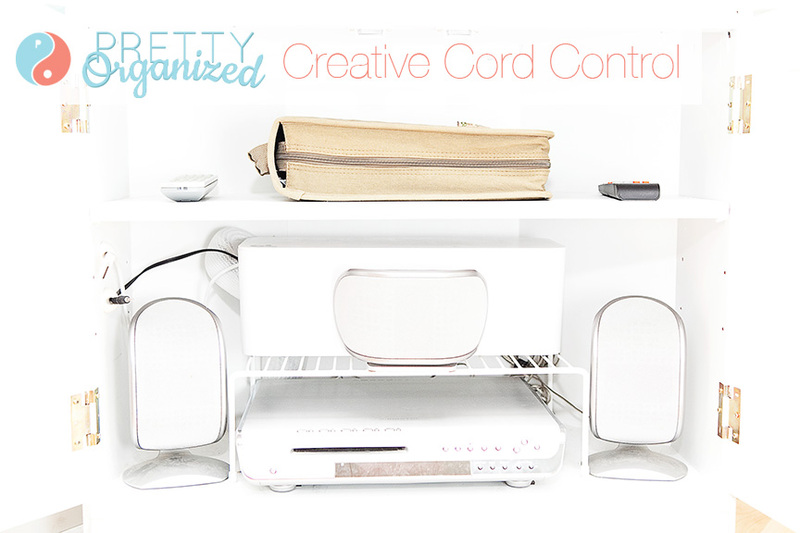 Find a place to the keep extra cords we use when we hook up our laptop/ipad and stream shows through the tv. 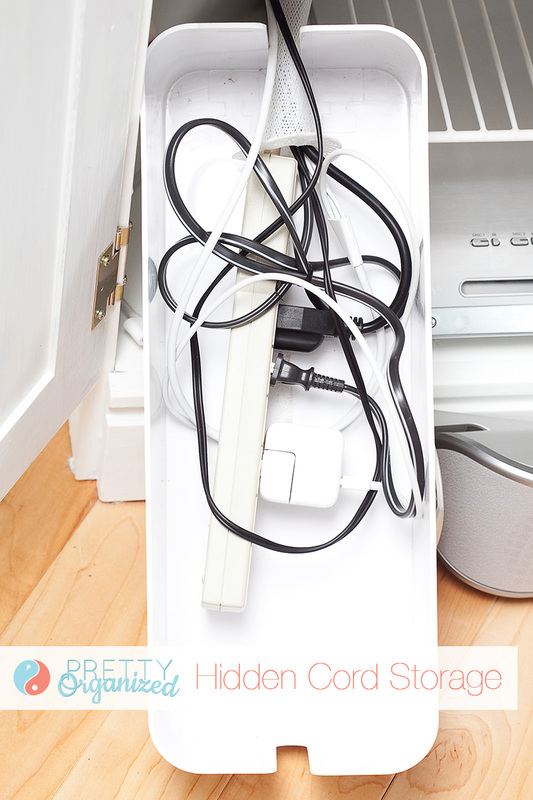 Find a subtle way to sneak the wires out through the cabinet to reach the wall outlet. Keep our DVD player protected & ventilated (it overheats if anything is placed on it). Then, I popped everything into the CableBox (I used the regular sized version bc it fits full-sized power strips). The speaker wires didn’t need to go in there, so I just wound ‘em up and hid them behind it. You can only see them if you’re laying on the ground (the angle in the first photo) — from the couch height, they’re invisible! 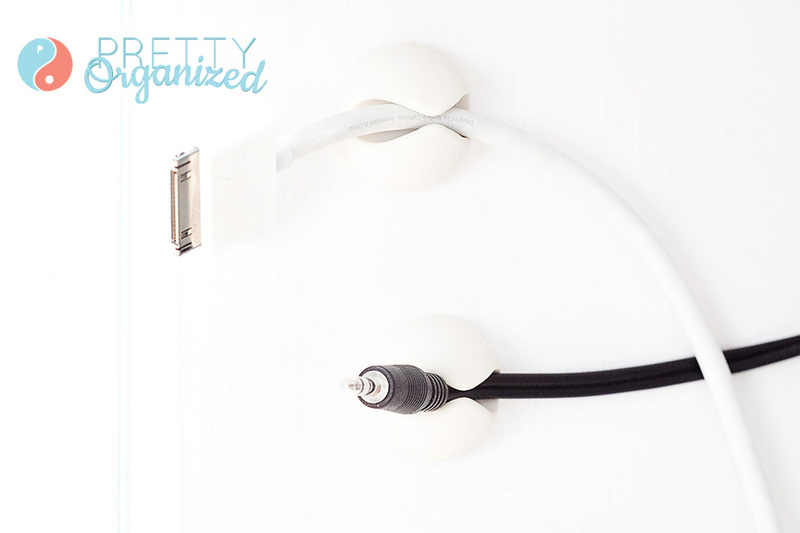 I also wanted to pretty up the wires where they run from the CableBox to the wall outlet, so I covered them with a white cable sleeve (I found this little one at a really cheap price on Amazon — LOVE that!). Mine was 3ft, but you can buy it in longer sizes, too. If you need to shorten it, you can carefully cut the end down to size & then seal the loose threads by melting them with a lighter (you can hold the flame close to the threads — it doesn’t need to actually touch them). Obviously, you’ll want to do that BEFORE you run the electrical wires through it! That’s what I did, and it’s been holding up pretty well! I also wanted to designate a little area where we could keep our extra cords handy. We stream a lot of movies & tv shows through our laptops & Ipad to watch on the big screen, so we have extra cords & cables that need to be easily accessible. These little adhesive CableDrops (also from Bluelounge — they should just hire me to be their spokesperson, haha!) were just the right thing! As with any adhesive product, be careful if you are applying them to any delicate surfaces. If you decide to take them off, you may want to use Goo Gone. Sandra over at Simple is Pretty just wrote this great little Goo Gone tutorial. I drilled a little hole in the back of the cabinet so that the wires could reach the wall outlet, and used a cabinet shelf to create a space for my CableBox to rest (you guys know how much I love creating extra space with cabinet shelves!). Our temperamental DVD player is nestled safely underneath with plenty of ventilation & nicely protected from any temptation to place items on top (it’s awkward to reach under there & set things on it, preventing us from using it as a lazy stashing space!). Oh, and the binder on the top shelf? That’s our easy-as-pie space-saving solution for DVD storage! Go ahead, check out that project — there’s more to it than meets the eye! Badda Bing, Badda Boom: my super simple, space-saving, cheapo DIY tv cabinet organization is complete! It’s not perfect, but I think it’s about as chic and clutter-free as a $20 Craigslist cabinet can get! 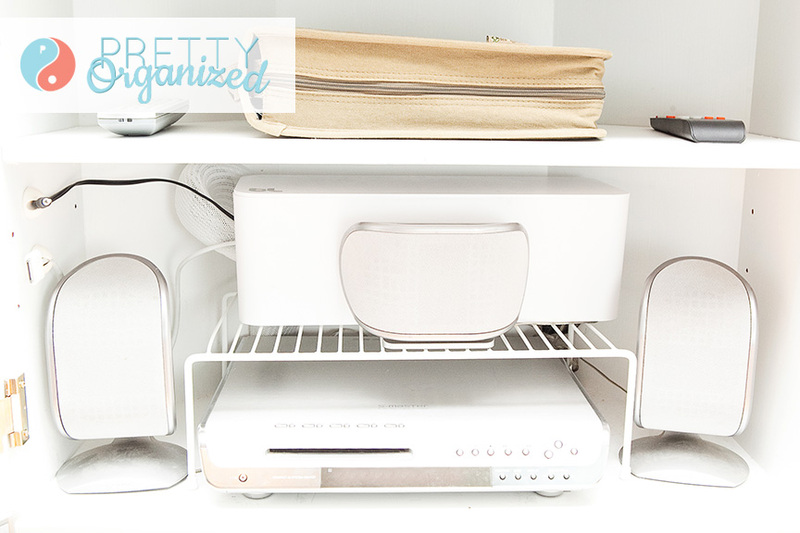 What are YOUR favorite DIY organizing tips and storage hacks? Leave a little comment — I love hearing from you! P.S. I’m sharing this project at The Scoop & The House of Smiths! ‹ What to Eat For Breakfast: Shake it Up with a Smoothie Station! Great post, as always I love your pictures! !